Reliance Jio's iPhone buyback offer is sweet, but you shouldn't skip the fine print with this one. Here's what you're agreeing to. 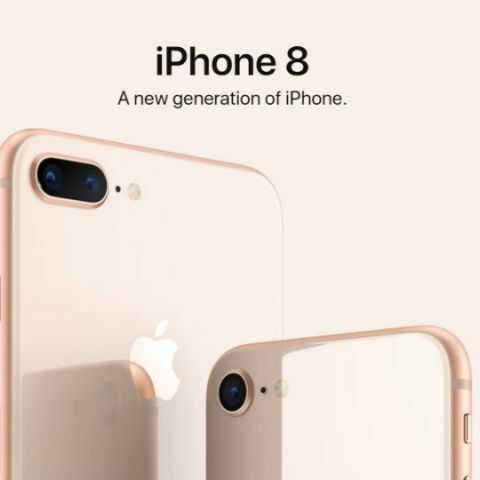 The iPhone 8 and iPhone 8 Plus will be selling in India from September 29 onwards, but pre-orders have just begun. Flipkart, Amazon and others have offers on the product, but perhaps none as enticing as what Reliance Jio is offering. The newest entrant in India’s telecom is perhaps looking at this as an opportunity to gain new users who will use its sim cards as their primary sim. While Jio has gained quite the user base, it is still not the first choice for consumers in India. Reliance Jio’s offer is available in two parts. First, the company is allowing select Citibank card holders to avail Rs. 10,000 cashback on purchasing the iPhone 8 or iPhone 8 Plus. But more importantly, Jio is offering to buy back your phone after a year, for 70% of its price. That seems like an excellent offer, especially for those who aren’t sure whether they want to spend on the iPhone X later. Jio’s offer does sound incredible, and in many ways it is. But, it’s important to note the fine print here. As mentioned earlier, the offer is a way for Jio to get users who will use their sim cards as the primary. So, you have to be a Jio user to avail this offer. This means you can either be an existing Jio customer, or Jio’s delivery executive will do a on the spot e-KYC and get you on board when the phone is delivered. The offer is available on Amazon.in but you have to ensure that the seller is Reliance Digital. The offer is only applicable then. Alternatively, you can walk into a Jio store or a Reliance Digital outlet to avail the offer. Jio’s terms and conditions do not actually clarify how the buyback scheme work. This though will be applicable on the “invoice value” of the phone, meaning what you paid for it before taxes. The buyback period is between September 1, 2018 to December 31, 2018, so you will have to use the phone till then, even if you do not like that. What about the Citibank cashback? The first thing to know is that the cashback on Citibank credit cards is available only the company’s credit cards and Citibank World Debit cards. You get a flat cashback of Rs. 10,000 that will be credited within 90 days of purchase. The cashback is available for EMI payments as well. What plans do I get? If you buy the iPhone 8 through Jio’s offer, you will have two options. The first is to pay Rs. 799 for twelve consecutive months from the date of activation of the product’s IMEI number. Secondly, you can also pay Rs. 9,558 for the yearly plan that Jio is offering.